I find it just a little bit ironic that I’m naming my articles after college entry level courses immediately after I graduate. Anyway, let’s get right into the finance stuff. We skipped a week of blueprinting to talk about the financial tips and tricks for your next Grand Prix, and I hope that I’ll see several of you at Grand Prix Charlotte to take advantage of some of the suggestions I provided in the article. I’ll be on site Friday morning doing the same thing I did last time, so be sure to click the twitter link at the top of the article if you want to stay on top of the finance game this weekend. On a semi-related note, here’s the list of vendors that are going to be on site at Charlotte: Hareruya almost always pays the best on NM competitive staples, and Tales of Adventure is where you want to bring your casual eight costing rares and mythics that are worth money because Commander players say so. I’ll be posting hotlists and such on Twitter as well! Alright, now back to the bulk. We had a really great series of questions from TheBrownNote about the specific details of my setup, and I’d like to get all of those uncertainties cleared up before we start sorting and organizing everything. 1. How many BCW trays do you need to sort by set? Did you group duel decks together as one? This is my current setup downstairs, although it’s not quite complete. All of the boxes on the top shelf are empty (otherwise I would probably be buried alive in cards right now), and you can see each of my set sorting trays spread out across the lower plastic tables. 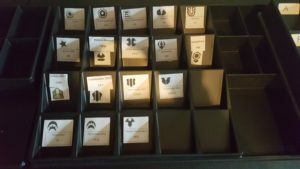 I used about six trays in total to cover all of the sets, from Unlimited until Shadows over Innistrad. This year I’ll need to have room for several more products that were announced on Monday, but you can read anyone else’s articles about that. Here are some close-ups of the chronological order of each tray, with Duel Decks and supplementary products earning their own trays. 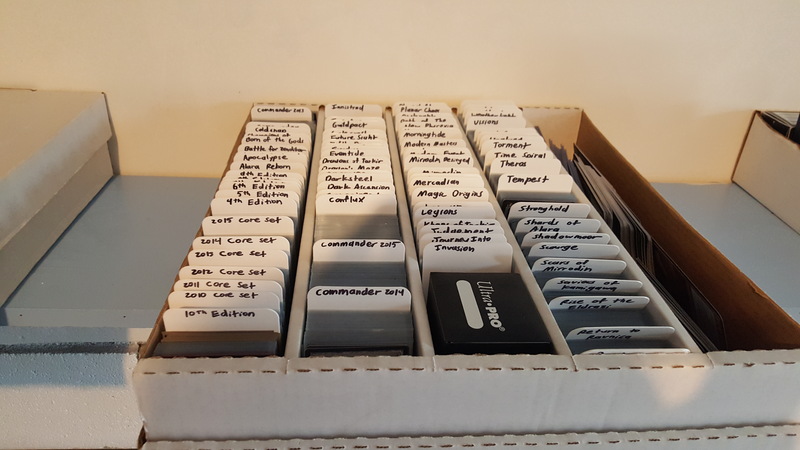 With the Planechase: Anthologies and Commander 2016 sets coming up, I’ll need to make some room. I have a few spare trays leftover, so I’ve got some wiggle room. 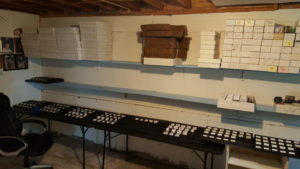 Just don’t order *exactly* enough trays to cover all the sets and supplemental product, then be sad when you don’t have enough sorting trays to cover the next set. 2. Do you sort out NM vs Played when you initially sort? You said you pulled damaged cards, wasn’t sure if this was a category you made for all NM. You probably noticed that I left the four deep pockets in each of the sorting trays blank. You can customize them to be whatever you want, but I like to leave those four slots on each tray open for sorting random foreign cards, foils, basic lands, or damaged goods. If it’s a non-NM card that’s complete bulk (Grizzly Bears, Vampire Noble, etc), then I just put it in a pile to throw away. I don’t like putting MP true bulk in my boxes that I sell to casual players, because I try to keep them looking as professional as possible. While it’s okay if a few of the cards have a little bit of wear when selling on Craigslist or something similar, I try to avoid serious marks or damages. On the other hand, we have non-NM cards like Browbeat, Blighted Agent, or Piracy Charm. Cards that are technically still worth something to someone, but we can’t in good conscience ship them off to a buylist due to significant wear. Personally, I usually just keep them in the same lot as the rest of the NM cards up until the point when I’m actually shipping out the buylist, at which point I make sure they’re not getting shipped out. 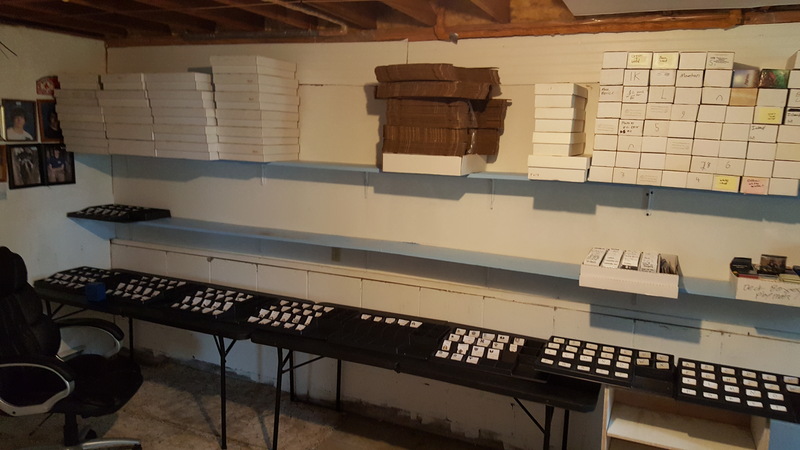 Remember that once this project is done, ALL of our bulk will be set sorted and alphabetized, making it much easier to fill orders for locals who want to build decks. Being able to find the playset of HP Browbeats and sell them for $2 total instantly is better than the ten cents you’ll get from any other buylist. 3. 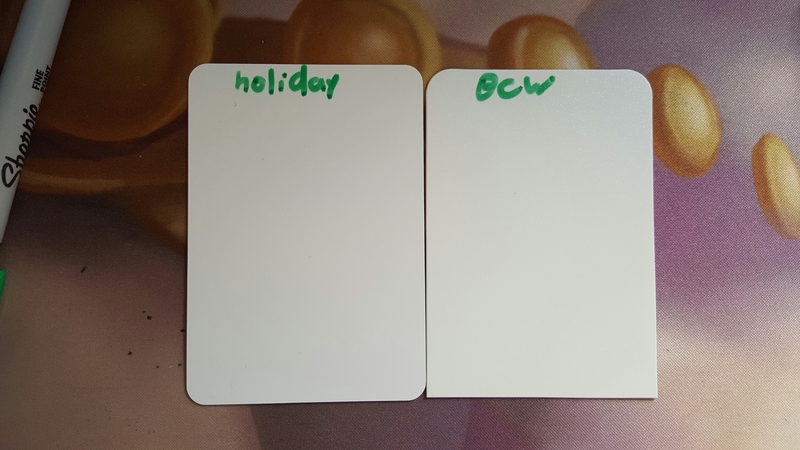 Noticed your BCW order had the tall card dividers, these only work on the 2 piece boxes, right? since 1 piece boxes are horizontally loaded instead of vertically. Yeah, you’re correct. These dividers won’t allow the 5k boxes to be completely closed with their original lids. The box lid will still cover the cards, but I wouldn’t put any pressure onto it with other 5k boxes filled with cards. 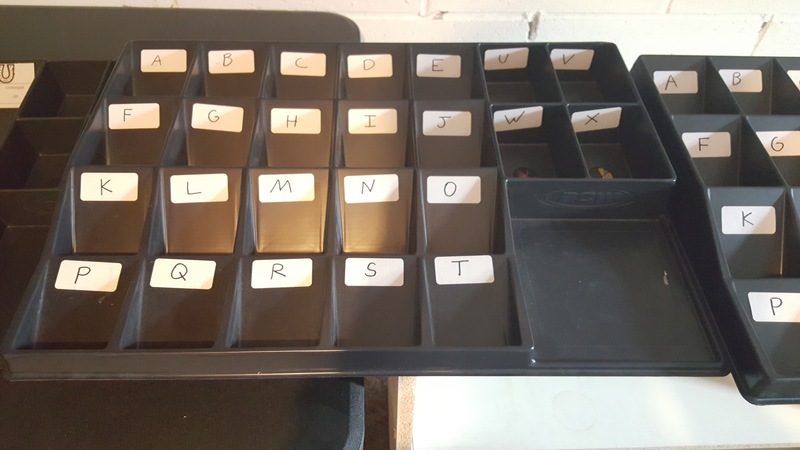 You can still leave the box open though, and the dividers will leave enough room poking out for you to be able to see what you wrote/stickered them with. I’ve actually considered trimming up the bottom of some of the dividers with scissors to see if I could get them to fit inside the 5k while being able to close it completely with its’ original case, but I haven’t gotten around to it yet. If you don’t need to write the set/block names on the dividers and you’d rather just color code or something, that might be a solution that works for you. Here’s an example of what one of my current boxes looks like. If you’d rather not order a thousand dividers and you’re planning on working a smaller operation, the dividers that come from the holiday gift boxes are an almost identical height, just a couple millimeters taller and wider with rounded corners on all sides. 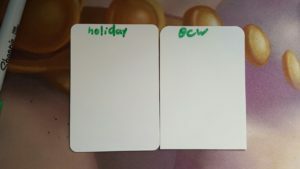 If you buy and sell collections even semi-regularly (or if you have friends and family who buy you a holiday gift box), then you probably have some of those dividers kicking around. In short, I don’t think you’ll need to buy nearly as many as I did, if at all. 4. 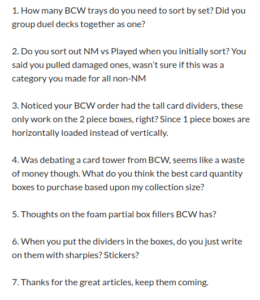 Was debating a card tower from BCW, seems like a waste of money though. 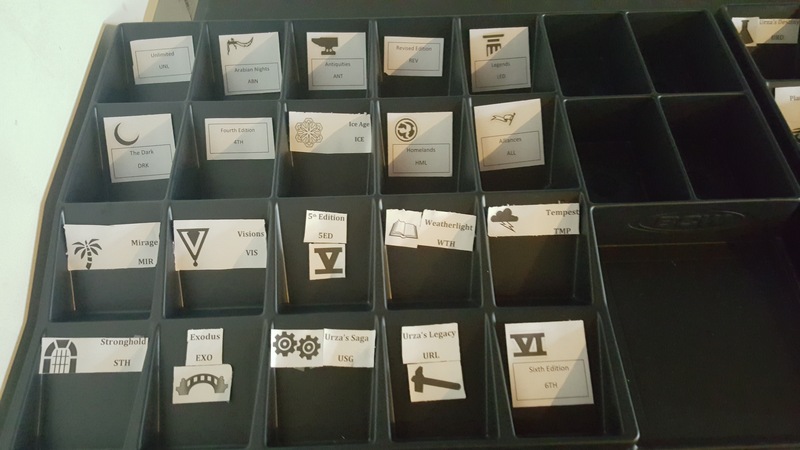 What do you think the best card quantity boxes to purchase based on my collection size? Hmm. I’m not entirely sure what you mean by a “card tower”. This is the closest thing I could find on BCW, and it’s not something I would really ever be interested in buying. 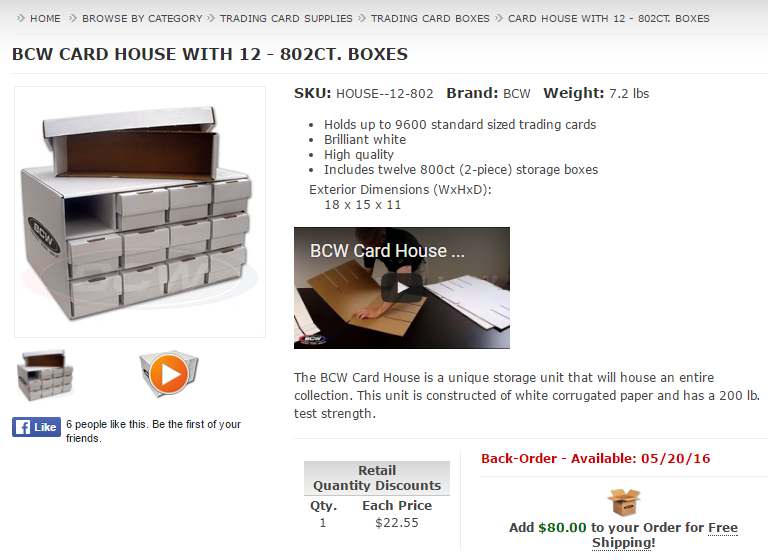 The only thing close to that I have is a card house from BCW, and it holds 12 of the 1K boxes that I know and love. I really only use it to house the cards that don’t get touched very often, but it’s stuff that I want to have close by just in case someone wants to pick through it. BFZ/ZEN full art lands, my spec boxes, bulk foil commons and uncommons, that kind of stuff. You might be able to make use of one, but I wouldn’t buy the one on top because it just looks way too bulky. The bottom picture is what you’re looking for. Just one at most should be fine, since you said that you’re only working with around 10k in cards. 5. 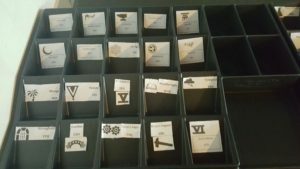 Thoughts on the foam partial box fillers BCW has? Hmmm. I’m not really sure what you’re referring to here either. I wouldn’t personally spend more money on foam filler just to make sure the cards are stable, as there are a bunch of other ways to do that without spending money. Tissue paper works fine, as does using a much smaller BCW white box for the remaining cards so that there’s no wiggle room. 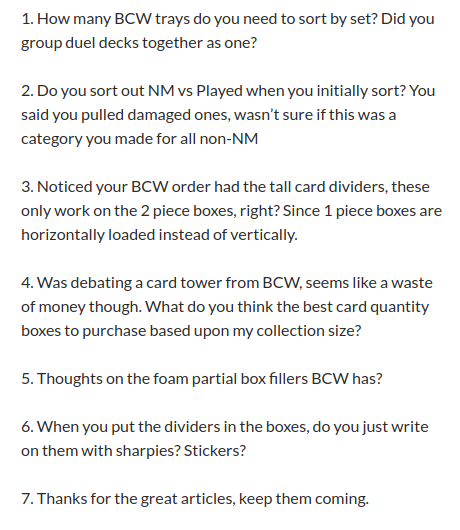 This question actually reminded me that I have a ton of pick/pluck foam in my basement that came included when I bought my Pelican luggage case, so I might end up using that one day if I really need to make sure some cards are perfectly set up in a box without room to move. Overall though, I wouldn’t spend money on foam. Anyone want to buy some foam? Hopefully that cleared up some of the lingering questions from before. I’m always happy to answer more on Twitter or Facebook, and I’ll see some of you at Grand Prix Charlotte! I won’t be playing in the main event, but I do hope to play some Commander in between the finance stuff. Thanks for reading! Golgari Grave-Troll took off, to the surprise of that one guy living under a rock. TCG mid hasn’t quite updated yet, but the cheapest NM copies online are $6 at the time of writing this article, an easy double-up from less than a month ago. If you know me, I’m a fan of cashing out and enjoying the sweet gains while I can. Even if the card caps out at $10, I don’t want to be one of hundreds fighting to race to the bottom, or risking the desk not putting up anymore results. Steamflogger Boss is a Magic card. Someone bought a Steamflogger Boss for $5 and change on TCGplayer. Yep, that actually happened. The “argument” for it is because Kaladesh has been shown to be a steampunk/artifact plane, so why wouldn’t Wotc go back to Future Sight and develop an entire set or block mechanic around a card that is literally a joke? Apparently this is what #mtgfinance is nowadays, and I personally find it hilarious. While this is another tally mark for the “Buy bulk rares” club, I don’t actually own any Steamfloggers, nor do I own any Contraptions. Do you really need my advice to sell these? I really enjoy these articles, Doug, and thanks for keeping on keeping on with them. Thanks again for the good word! All of our current writing staff is based out of North America, so we unfortunately don’t have anyone at the ready to go scouting at EU Grands Prix. If you know someone who might be interested (or are interested yourself), contact corbin@mtgprice.com, jameschillcott@gmail.com, or webmaster@mtgprice.com. I’m sure they’d be happy to work with you on finding someone! 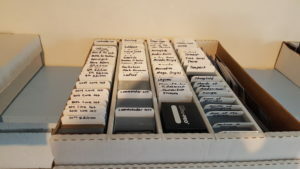 Depending on what your time is worth… I try to buy a box of most Standard sets and the single layer cardboard is perfect for crafting your own box dividers. Might be useful to people like me who can’t justify a big enough order from BCW for free shipping. Ooh, that’s not a bad idea at all! Very frugal, I like it. Now i’m regretting throwing away infinite empty booster boxes that I’ve gotten from collections. Thanks to you I’m going to ship my first bulk lot to blueprint! Finl tally has it at 110 bucks after shipping! I plan on selling the rest in lots of 1000 on Craigslist. do you have any tips or tricks on how to go about randomizing this bulk now that it’s alphabetized? Randomizing bulk that’s been delicately sorted has always been tricky for me. I used to just shuffle lots of 100 while watching netflix because I would receive bulk that was sorted by color, and I wanted it to be completely randomized. I can’t imagine how hard it would be to randomize bulk that’s been alphabetized. You might be able to get more value out of a vendor if you’ve done their work for them though…. Thanks for the much needed information. Now I can finally conquer the bulk card monster that so greatly annoys my girlfriend. Keep up the great articles. 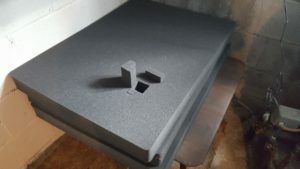 I bought and frequently use the foam fillers you are speaking about. As with anything, there are pros and cons to be considered. I only found three basic cons relative to my set up. One, they are unexpectedly expensive. not prohibitively so, but I would imagine some of the more frugal folks wouldn’t buy them. Secondly, at least when I was buying a couple years ago, you couldn’t just buy a handful, you had to buy like 12 or 15. Third, they are not fitted for the graded shoe boxes or other boxes that are designed to accomodate top loaders, deck boxes, etc. The pros are that, for foam, they are rather sturdy. They are sized correctly for all the BCS boxes designed to hold sleeved cards, such as the super monster boxes, or the regular shoe boxes. They fit snugly enough in the column, and are about an inch thick, so that even if you have a half a column empty, you only have to use three or four foams to hold cards in place, unless you somehow upend the box, in which case, what is really safe? The the foams come in the 800 count long storage box, so if you’re that kind of person who likes free things, could look at it as getting a free box which is generally useful when we are talking bulk. 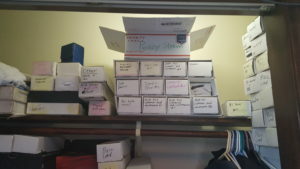 Now, my collection, is much more sizeable, in the area of 25ish BCW super monster boxes, and around a dozen shoe boxes, so I find them to be quite useful, and probably still have around 100 or so of the foams. Given all that though, if I was the person with 10k cards, I would skip the foams due to the price, but if you really wanted something of the sort, there is a styrofoam alternative that one seller ships cards in that works very well, and is pennies on the dollar compared to the foams.